What’s New at your Favorite Boca Raton, FL Hair Salon? Salon Sora is proud to share our latest news with our valued customers. We strive to remain relevant and in-style! 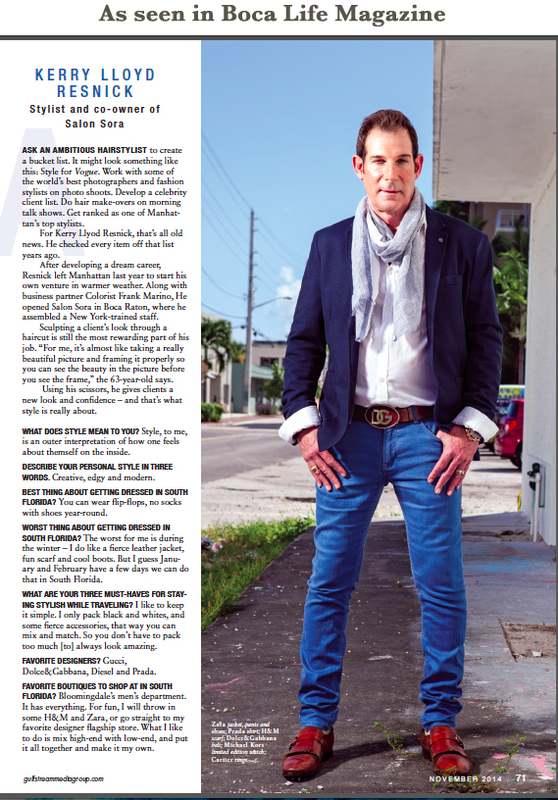 Stylist and co-owner of Salon Sora, Kerry Lloyd Resnick, featured in Boca Life Magazine, answers questions about what style means in South Florida! 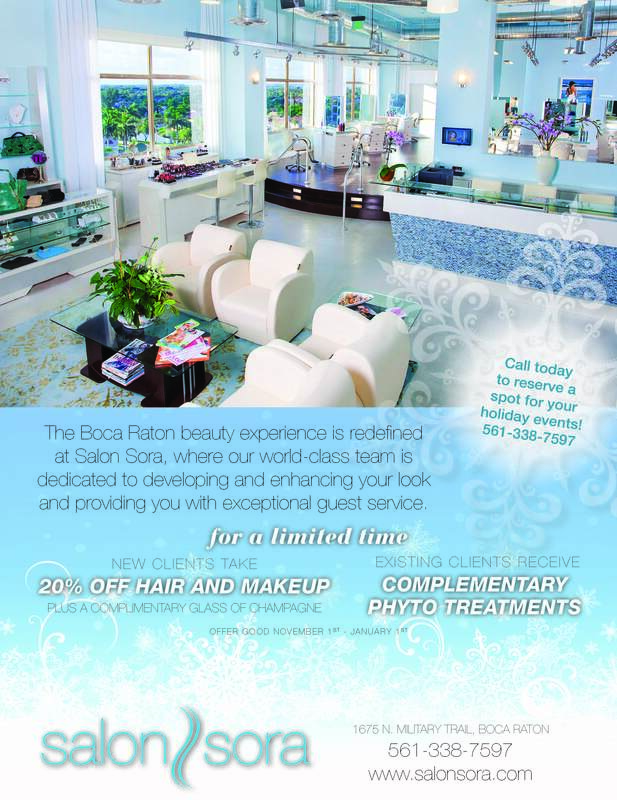 Salon Sora is not your average Boca Raton, FL hair salon. This 6,600 sq ft. mega salon is located on the penthouse level of the Milan building and offers a top of the line salon experience like no other. From the second I walked into Salon Sora, I instantly drooled over the modern appearance of the salon, with industrial ceilings, luxurious leather seating and breath taking views of the city. I didn’t think it could get better, but it did. As I made my way further in, I saw something I had never seen in a hair salon—a tranquil patio area perfect for relaxing while waiting for a hair treatment to process. Read Pretty in Pigment’s full review here. This past week I had the privilege of attending the Media Event at the 6600 square foot luxury salon; Salon Sora. This State of the Art salon recently opened on the Penthouse Level atop the Comerica Bank Building, in Boca Raton, FL. Although, I heard talk of the salon, I really had no idea what to expect. After arriving, and actually stepping inside, my first thought was “Spectacular”! Read Simply Sassy’s Style full review here.